From the Publisher: “Pure Fascination. A true Paradigm Shift. Revolutionary Science. “Some ancient Egyptian artifacts made with very hard stone, like diorite and quartzite, defy reproduction when modern steel hand tools are used. Nonetheless, many thousands of such artifacts were fashioned during the Late Stone Age. Many people are surprised to learn that the Egyptians built the most admired and mysterious monuments of all time—Egypt’s Great Pyramids—when tools were at the Late Stone Age level. At that time, the strongest metal available was copper, a relatively soft metal. The hardest limestone blocks in the pyramid complexes (consisting of pyramids, temples and other sacred architecture) are too hard and intricately fit to have been cut on such a massive scale with copper tools, or with these instruments along with abrasive sand. Indeed, assuming the Great Pyramid was completed or nearly completed during the 24-year reign of Pharaoh Khufu, as Egyptologists assert, its scale is too large for the myriad of form-fitted pyramid blocks and the overall near-perfect giant pyramid shape to have been cut with these primitive stone-cutting devices. Experts estimate that the Great Pyramid contains over two million blocks. In the 5th century B.C., the Greek historian Herodotus visited the Great Pyramid when its blocks were pristine and unblemished. Herodotus reported seeing a myriad of casing blocks 30 feet long covering the outside of the Great Pyramid! We must exercise caution when accepting measurements in ancient texts (the Greek world used different measurement systems, and scribes made errors). But Herodotus’ report matches that of Abd el-Latif, who visited Giza around A.D. 1200. Abd el-Latif also reported seeing a myriad of 30-foot-long blocks casing the Great Pyramid as far as the eye could determine. Egyptologists have been astonished to find that the backs of the casing blocks remaining on all of the monuments at Giza, site of the Great Pyramid, conform exactly to the intricate irregularities of the front faces of the blocks behind them! How can we believe that these huge form-fitting blocks were so precisely cut with stone and copper tools and abrasive sand on such a gigantic scale? The Great Pyramid was originally covered by 20 acres of smooth casing blocks that angled to produce the overall pyramid shape. 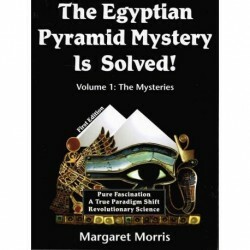 It stands to reason that something is wrong with the accepted theory of pyramid construction. 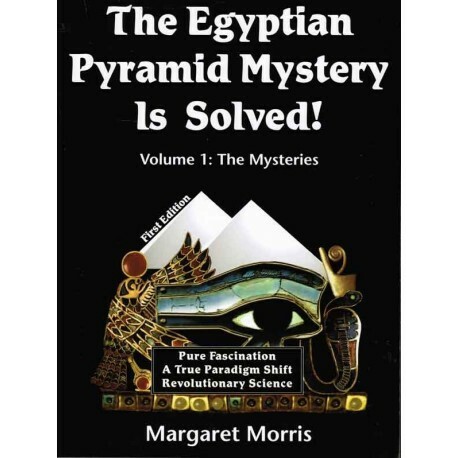 Many theories about how the Great Pyramid was built have been offered, but there are several basic requirements a theory must meet. Theories other than the one presented in these pages do not take all of these requirements into consideration. Most theories actually ignore most of them. We will explore the requirements in these pages. Once they are clearly set out, it becomes obvious that only one theory meets all of them. Many pyramid blocks are of a hardness that can be roughly cut with a hard form of bronze. But Egyptology has determined that hard bronze was not available to Egyptians of the Pyramid Age, when the Great Pyramids arose. Since the inception of Egyptology, more than 100 years ago, most Egyptologists have assumed that copper tools were adequate for quarrying and carving limestone into pyramid blocks. Egyptologists are only now beginning to recognize, because of hands-on stone-cutting experiments by masons and tool experts, that copper chisels are too soft to be useful for producing the hardest limestone pyramid blocks. Granite, used to make almost five percent of the blocks found in pyramid complexes, is much harder than limestone. If we propose that copper tools could be sufficiently hardened to cut the limestone, the amount of copper required to cut all the limestone pyramid blocks with copper tools would be staggering. The enormous supplies needed are not accounted for by archaeological findings at the copper mines, and the tools found in sealed tombs are typical, soft copper. Some Egyptologists, therefore, propose that the ancient workers must have made the millions of pyramid blocks with stone tools, the only other kind available.1 A critical dilemma results, because stone tools are not suitable for producing the blocks of the Great Pyramid, either. The vast amount of masonry had to be carefully prepared to prevent any distortions that would adversely affect the overall giant pyramid shape, a feat that would be challenging with today’s methods. For instance, on the outer surface of the Great Pyramid, casing blocks have been measured to fit as close as 1/500 inch or in perfect contact along the entire joints. Format: Softbound large, 250 pgs.